"This is such a striking design. I love the ceramic color, it evokes the color and design of the monthly challenge. The tiny bits of red and a delicious punch to the quiet color palette. I also like the use of the ribbon, as it reminds me of the water in the painting and offers a nice contrast and texture to the ceramic pieces." You can see more of Birgitta's work on her blog. Stunning! 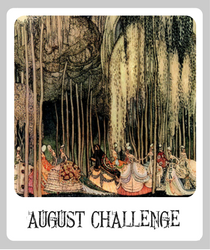 What a fabulous interpretation for this month's challenge! 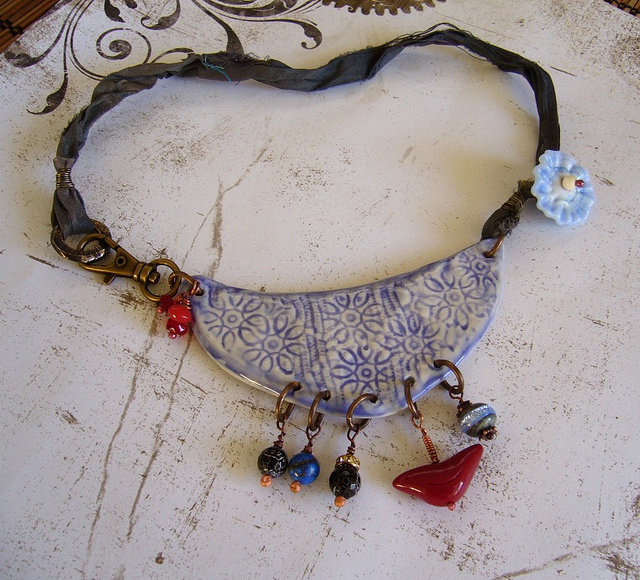 I love Birgitta's ceramic pendants! Thank You , Heather for choosing my necklace for this week !! Wonderful piece of jewellery and I just love the idea of using beads and stuff from different countries, all over the world ! What a really Beautiful necklace Birgitta has made! I fell in love with it as soon as I saw it. She is such a talented Artisan as well as a designer!